The sacrament of confession is an integral part of Christian life. The most common question from those who are preparing for the first time to go to confession: do I need to read before that some prayers? And if so, what? Confession is the bottom of the seven Christian sacraments established by the Savior. He said to the Apostles: "receive the Holy spirit: whoever's sins you forgive, they are forgiven; and whose ye retain, they are retained". In this Sacrament the penitent invisible allowed from their sins. In the Russian Orthodox Church (in contrast to Serbian, for example) confession mandatory for those who are going to communion. For those who partake rarely, it is still recommended from time to time to confess. And some go to confession, to ease the soul, or to solve some problem. 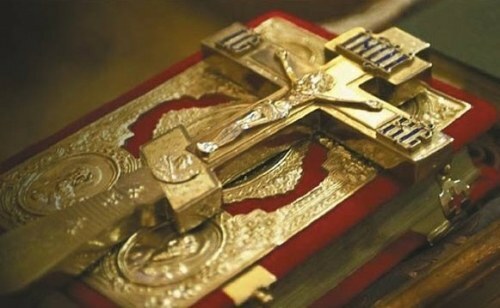 The Holy Orthodox Church, answering the question of what the confession said that the confession is not so much a conversation with the priest, how much communion with God, so to approach it responsibly. So does this mean that before it you have to read the prayer? First try to understand one more thing. What is a prayer? It would seem that everything is clear: prayer is a text, reading that, the person turns to God or to the saints. There are mandatory prayers, there are prayers just in case life. All true, except for one "but". The Holy fathers of the Church say that prayer is not only text, but also the dialogue of the heart with God. If not, then the text of the prayer becomes meaningless. Therefore, according to the teachings of the saints, there is no such thing as "obligatory prayer". Is the concept of "desire of the soul to God." And it's not something that you need to perform usually. It must come from a person's desire. After all, Union with God, primarily in his interests. So, as such obligatory prayers before confession is not (unlike, for example, of the communion that must read a certain rule). However, the confession is so sacred and serious a sacrament in the interest of a person to approach her focused and internally focused. Best of all this can be achieved by turning the heart to God through prayer. Through that prayer, which is the most like person. Or through prayer, with their simple words. You can also read the Jesus prayer: "Lord Jesus Christ, have mercy on me, a sinner". The most important thing in your prayer – whether the prayer according to the prayer book, or prayer in your own words – sincere, a living turning to God with the assurance that prayer will be answered. Then the confession will be no formal transfer of his sins, but the true appeal to God for forgiveness.